20 Cavendish Square at the Royal College of Nursing has announced it will be supporting a new emerging artist every two months by exhibiting art in its office. The fantastic venue will be showcasing a range of exciting styles over the coming months throughout its meeting rooms and office space. The paintings will be available to buy and the it is hoped the changing nature of the exhibitions will inject energy into the workplace, creating a dynamic and stimulating environment. Art is a subjective topic and changing the works regularly will enable 20 Cavendish Square to cater for a range of tastes. It will provide the opportunity for staff and visitors to enjoy gallery quality art at work, encouraging people to share their opinions, promoting conversation and communication. The first artist to be exhibited at 20 Cavendish Square is Mark Fisher. Originally from Canterbury, Mark now works from him studio in Sedlescombe, East Sussex. He was taught to draw and paint from an early age by his mother, winning his first art competition at the young age of 16. Mark’s collection of London cityscapes, are painted in a distinctive, representational style. Inspired by artists such as J.M.W Turner and Kurt Jackson, he is interested not only in the landscape but in the architecture that sits within it. Using deliberate brushwork, Mark builds the city in horizontal and vertical lines from high view-points to deliver an atmospheric body of work. 20 Cavendish Square is working with Little Van Gogh to bring these changing exhibitions to their London office. For more information, please visit 20cavendishsquare@rcn.org.uk. Central Hall Westminster has announced a record turnover of over £7m for its 2015/16 financial year, ending August 2016. 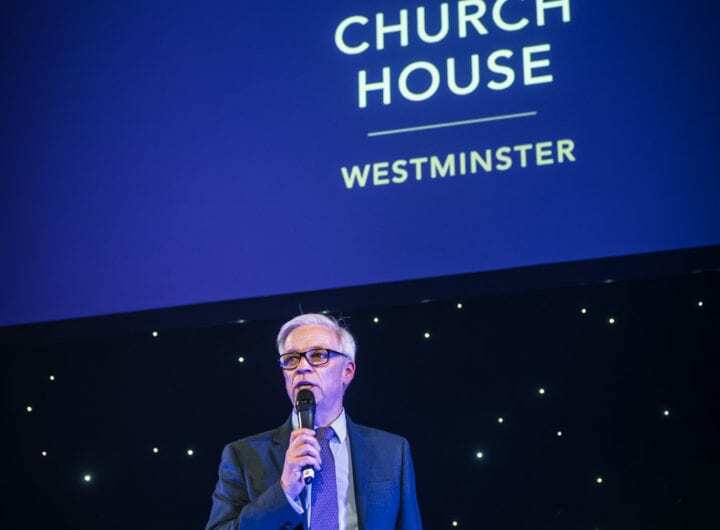 Central Hall attributes much of this success to investments in a number of new technical installations at the venue and an increase in the number of enquiries from clients looking to hire the whole venue. These include PIXL, the largest partnership network of schools in England and Wales, and the BBC New Year’s Eve concert which has been held for the last three years at Central Hall. Following the success of this financial year, the venue is looking to expand its team. Paul Southern, Managing Director at Central Hall, comments: “We are delighted to have experienced such a strong financial year. The team at Central Hall have been working hard to help drive new business opportunities and we have invested in a number of marketing campaigns and new technical installations to help develop our event offering over the past year and as a result, have seen some fantastic results. As a not-for-profit organisation, Central Hall is committed to supporting a number of local charities. The venue has provided £1.2m for the Trustees to support international and local charities like the St. Vincent’s Family Project (SVFP). The SVFP aims to support young families living in Westminster and addresses the issues of parenting, child welfare and social exclusion by providing services for parents, carers and children. The QEII Centre is continuing its £12 million refurbishment and rebranding project this summer by transforming its 6th floor into an open-plan banqueting space with breath-taking views of Westminster and the London city skyline. Work has commenced and will be complete by September, when the renovated space will be revealed at a dazzling dinner to celebrate QEII’s 30th birthday. QEII’s ongoing programme of refurbishments is focused on improving the customer experience and opening up the venue to a wider variety of events including banqueting, awards ceremonies, cocktail parties, product launches and other corporate and private special events. The renovation of the 6th floor will give event planners greater flexibility for how they wish to use the space, with a retractable wall opening up what is now the Mountbatten room into one large, open-plan floor with a stunning glazed elevation providing dramatic views out towards the Thames, capturing Big Ben and the Houses of Parliament, London Eye and the Shard. The 6th floor refurbishment, which has been designed by architects AHMM, the 2015 winners of the RIBA Sterling prize, comes as QEII celebrates its 30th year at the heart of the UK’s event industry, contributing £122 million to the economy annually. QEII’s in-house catering team, QEII Taste by Leith’s, has recently appointed Jean Michel Viala as its new head chef. On Friday, 15 July, member venue Victory Services Club (VSC) showcased its newly refurbished El Alamein & Trafalgar Suite to event buyers, industry professionals and fellow member venues, at a breakfast networking event. Guests enjoyed delicious breakfast samples prepared by the venue’s executive chef and a chilled glass of prosecco while they networked with other attendees and explored the new and improved events space.